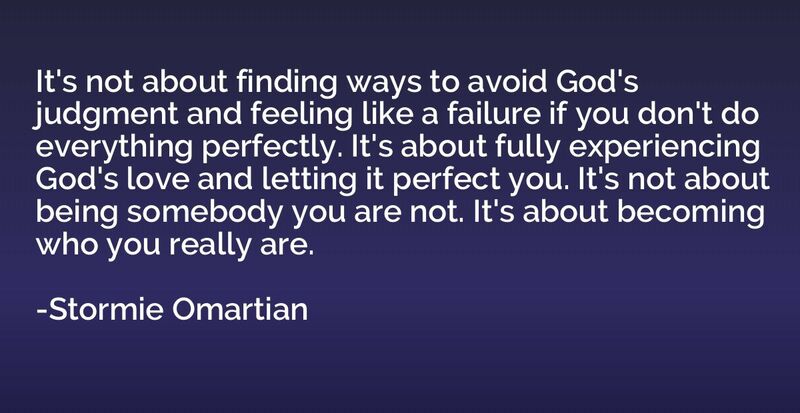 It's not about finding ways to avoid God's judgment and feeling like a failure if you don't do everything perfectly. 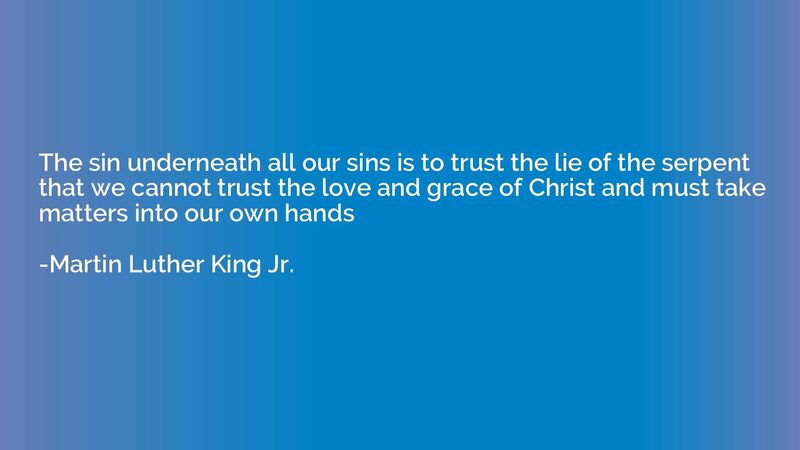 It's about fully experiencing God's love and letting it perfect you. It's not about being somebody you are not. It's about becoming who you really are. 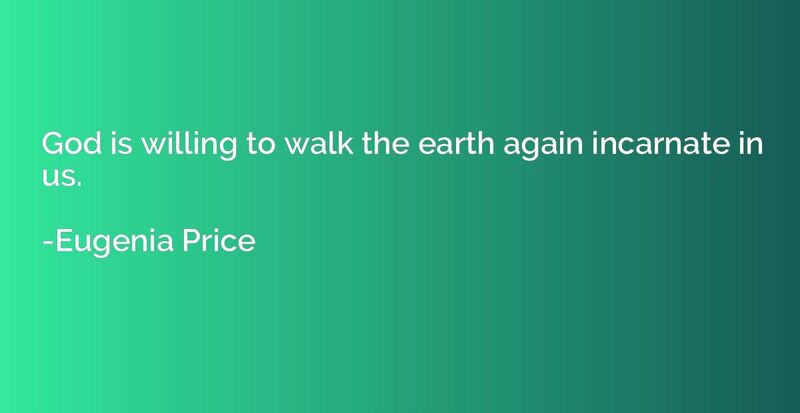 God is willing to walk the earth again incarnate in us. 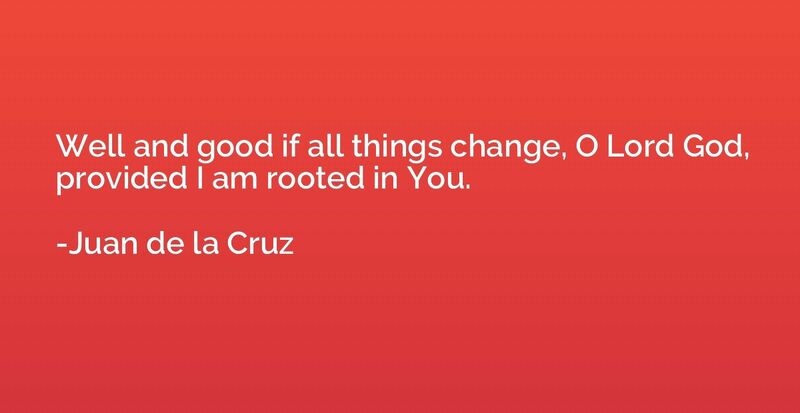 Well and good if all things change, O Lord God, provided I am rooted in You. When we talk to our fellow men and they tell us about their troubles, we will listen to them carefully if we have love for them. We will have compassion for their suffering and pain, for we are God's creatures; we are a manifestation of the love of God. 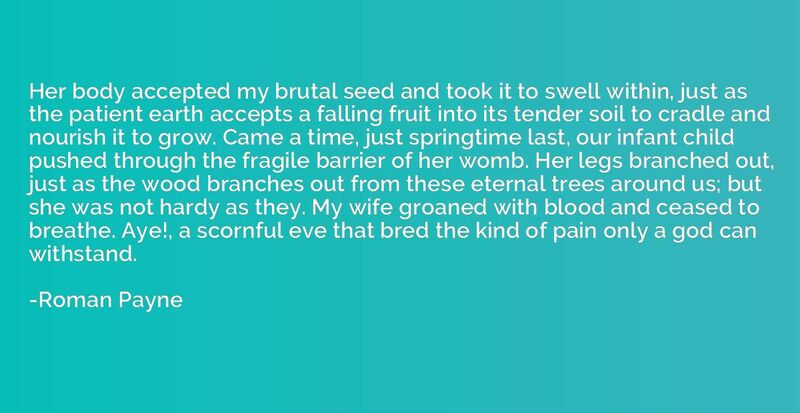 Her body accepted my brutal seed and took it to swell within, just as the patient earth accepts a falling fruit into its tender soil to cradle and nourish it to grow. Came a time, just springtime last, our infant child pushed through the fragile barrier of her womb. Her legs branched out, just as the wood branches out from these eternal trees around us; but she was not hardy as they. My wife groaned with blood and ceased to breathe. Aye!, a scornful eve that bred the kind of pain only a god can withstand. 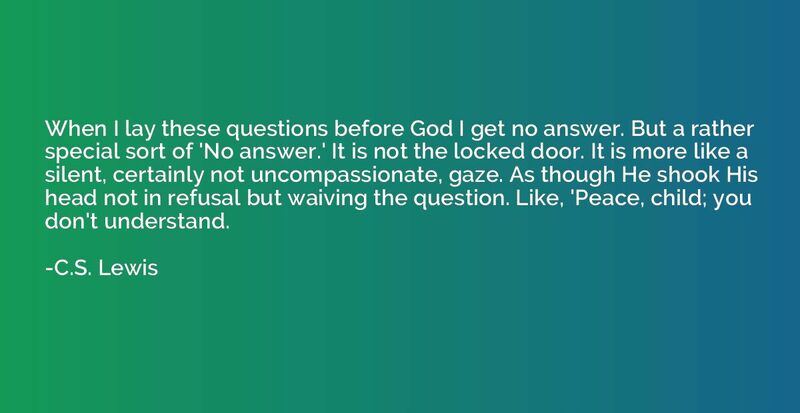 When I lay these questions before God I get no answer. But a rather special sort of 'No answer.' It is not the locked door. It is more like a silent, certainly not uncompassionate, gaze. As though He shook His head not in refusal but waiving the question. Like, 'Peace, child; you don't understand.